SOLD in JUST 19 Days for 98% of LIST PRICE! 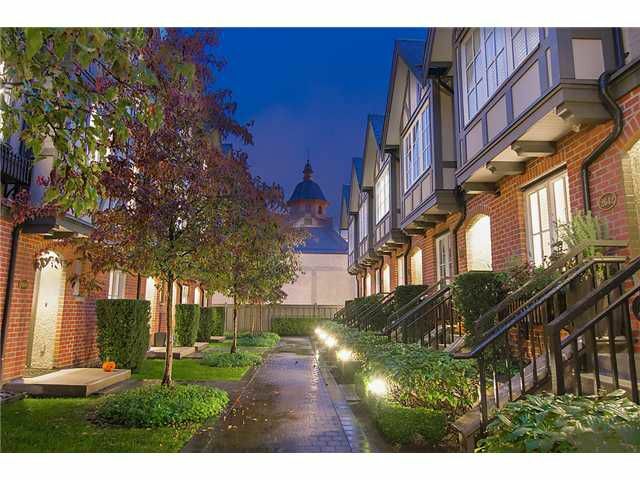 Pristine beautifully-crafted 3-bdrm townhouse at coveted Maison by Formwerks, an awe-inspiring collection of sophisticated tudor-style row-houses surrounded by lushly-landscaped & manicured gardens. Nestled in a quiet sweet spot just 1-blkwest of Main in booming Mt Pleasant, with a perfect '100' walk score. Inside, quality original finish is accented by loads of tasteful owner upgrades & personal touches. Hrdwd & new stylish high-grade charcoal carpeting throughout, huge open entertainer's kitchen w/granite & stainless steel, designer roll blinds, built-in surround speakers, cozy gas f/p (retro-fitted w/fan), fresh 'museum white' wall paint, lighting & much more. More pics/floorplan/video tour on Realtor's site.